Mark Costello and Ronan Benson of Synecco share their experiences in product development, spanning initial idea generation through to final product manufacture and beyond. Utilising design thinking early to increase your products chances of success. The benefits of Industrial design in maximising your products potential. Ensuring transfer to manufacture is cost effective and hassle-free. How a streamlined supply chain will reduce project lead time and expense. Synecco Ltd provides design and contract manufacturing solutions for the medical devices market and have a diverse commercial client portfolio, from large multinational companies to high growth start-ups. Synecco offers services to suit client needs including: design and engineering, component manufacture, assembly and filling, packaging and sterilisation as well as supply chain management. Founded in 2004, Synecco has earned a reputation for being an innovative, cost-effective and market driven supplier of medtech solutions worldwide. 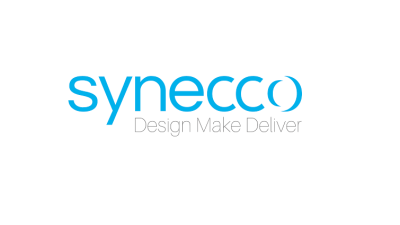 Fully compliant to industry standard ISO 13485, Synecco consistently provides our clients with solutions that addresses their medical device design, manufacturing and supply needs. This event will take place in the Auditorium in DCU Alpha (Dublin City University’s Innovation Campus). Press here for Google maps.